Compost Tea Recipes. Brew nutrient dense, biologicall rich teas. The reason behind compost tea is that we want to grow nutritious vegetables and fruit that are loaded with important trace minerals. Here is a list of ingredients for my compost tea recipes. My instructions page shows how to use these ingredients. Of course, compost is the number one ingredient in compost tea recipes. Compost contains a vast array of microorganisms. These are the “good bugs” that have been working to break down the compost. One of our goals in making compost tea is to greatly multiply these microorganisms, since they are so beneficial to both plants and soil. 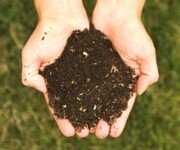 Compost is also filled with many nutrients that are readily available to the plant. The greater variety of items in your compost pile, the broader the spectrum of nutrients. 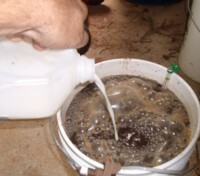 Organic unsulfured molasses is the second most important ingredient in compost tea recipes. This is a food and energy source for the microorganisms. When given enough food and oxygen, these microorganisms can double in number every 30 minutes. At this rate, within 3 days the microorganisms will have consumed all of the molasses, and will number in the trillions. I purchased this 16 ounce bottle of unsulfured molasses at Krogers for $2.50. Worm castings contain plant nutrients, growth enhancing compounds, beneficial microbes and are full of nutrients. Vermicast tea has been shown to cause over a 170% increase in plant growth by mass as compared to plants grown without vermicast tea. Worm castings are available at local lawn and garden stores, or online. Mined from caves that are home to bats, bat guano is one of the richest natural fertilizers. It is bat droppings that has been composted by microbes and guano beetles. Not only is it full of nutrients, but it contains an incredibly wide array of beneficial microbes, making it quite valuable in compost tea recipes. Some of the most important of these are microbes that aid in the decomposition of organic matter, which helps to control soil borne diseases. Bat Guano also has microbes and enzymes to help clean up toxic substances, such as herbicides, pesticides and chemical fertilizer residue. Bat guano can be purchased in a 1.5 lb. or 11 lb. box. Here is a little known secret to growing healthy food. Sea minerals are a dense source of trace minerals. Plants need these to be healthy, and so do we. Healthy plants are much more resistant to insect attack. Sea minerals are also a good source of sulfur and magnesium. Because these sea minerals are so highly concentrated, a little goes a long ways. One of the chief purposes of making compost tea is for the wonderful microbials it contains. Chlorine is a sterilizer, which kills microbes. If you have city water, let your water sit overnight in an open container before using it, or you can just run your bubbler for an hour. This bubbling allows the chlorine in the water to escape into the atmosphere, so that the microbes in your tea can thrive. Another option is to purchase a 4.5" x 20” GAC Big Blue filter to take out the chlorine. For high protein fungi food, grind some oatmeal to a powder, or use oat bran, soybean meal or powdered malt. By the way, oatmeal baby food is already a powder, and works great. Mix this into your moist compost 3 days before you make your tea, and store this compost in a dark, warm place. Once added to your tea, the fungi won't do much more multiplying, but may grow larger. When you brew your tea for fungi, don't use too fine a sieve, or it may remove some of the fungi. Unless you are diseased, your urine is sterile. It’s NPK (Nitrogen, Phosphorus, Potassium) value is generally around 18-2-5, so it is an excellent source of nitrogen. 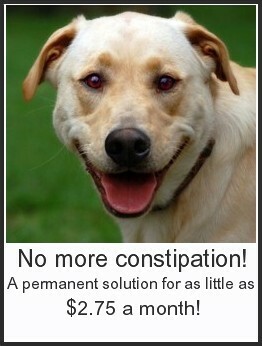 The greatest danger of using urine as fertilizer is over application. Too much nitrogen can be harmful. Balance is always the key. However, adding a moderate amount in your compost tea recipes is quite beneficial. The nitrogen is a good food source for the microbes. These are great for vegetables. They contain a vast array of nutrients and micronutrients found only in the ocean. They also contain a host of beneficial microbes. You can go online to purchase the fish and kelp, or buy dry kelp meal from a local feed store. Humic acids help the soil in a variety of ways. Most soils are lacking in calcium. You can help to alleviate this by stirring Dolomite or Hi-Cal lime into your tea along with the other ingredients. Calcium has been called “The King of Crop Nutrients”. It is incredibly important to both soil and plant health. Too little calcium invites sapping insects to eat your garden for lunch. Consider including some calcium in your compost tea recipes. Check out my home page for more information on healthy vegetable gardening. Happy Gardening!